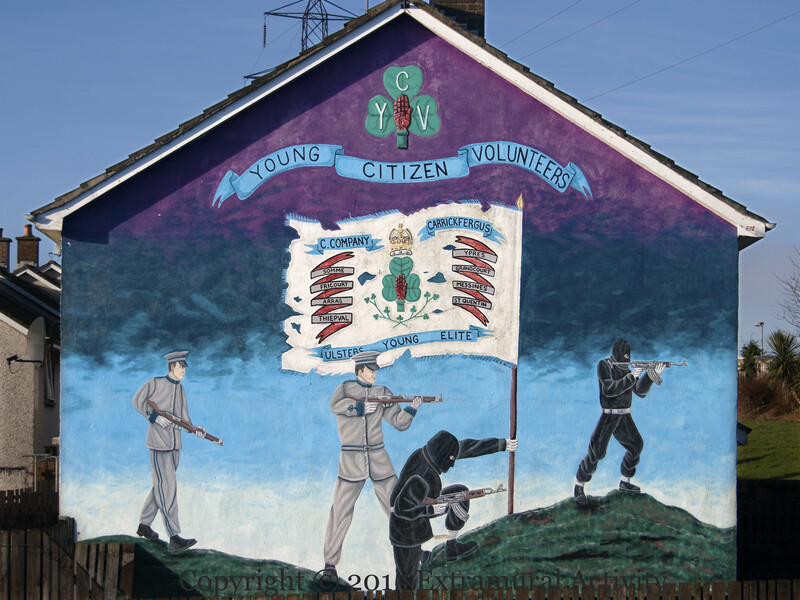 The Young Citizen Volunteers of 1912 eventually joined the Ulster Volunteers (in 1914) as the 14th battalion of the Royal Irish Rifles and part of the 36th (Ulster) Division (WP). 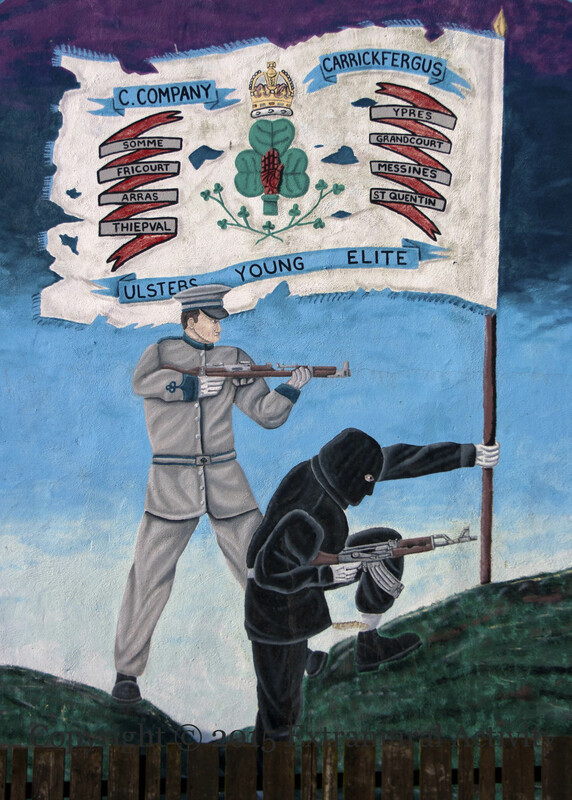 In 1972 the name was resurrected for use as the youth wing of the UVF (WP). In the wide shot, below, this history is presented as a continuous movement from left to right; a modern-day hooded gunman climbs out of a WWI trench with one hand on a YCV flag.